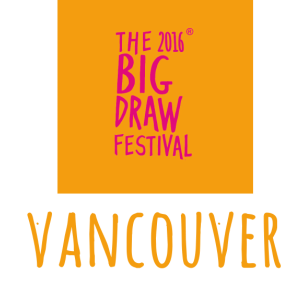 DRAW - Use whatever drawing tools you like, except when otherwise noted in the instructions. Don't worry about making mistakes—be creative and have fun! We ask that you not use rulers or erasers for any of your drawings, and that you stick to the time limits. Daily drawings should be no larger than 8.5X11. If you'd like, you can even participate using online drawing tools! SHARE - There are tons of ways you can share your work with us! Send scans or photographs of your daily drawings at any point during the month-long challenge and we'll put them up on our blog and facebook page. Email vandrawdown@gmail.com with jpeg files no larger than 72 dpi, 1024 X 768 pixels, maximum 1MB. 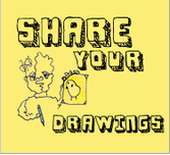 You can also upload your drawings using Instagram or an online photo-sharing site like TwitPic, TweetPhoto or yfrog, and send us the link through twitter (@VanDrawDown) or email. You can even post your drawings on our facebook wall! All drawings featured in our galleries remain anonymous. 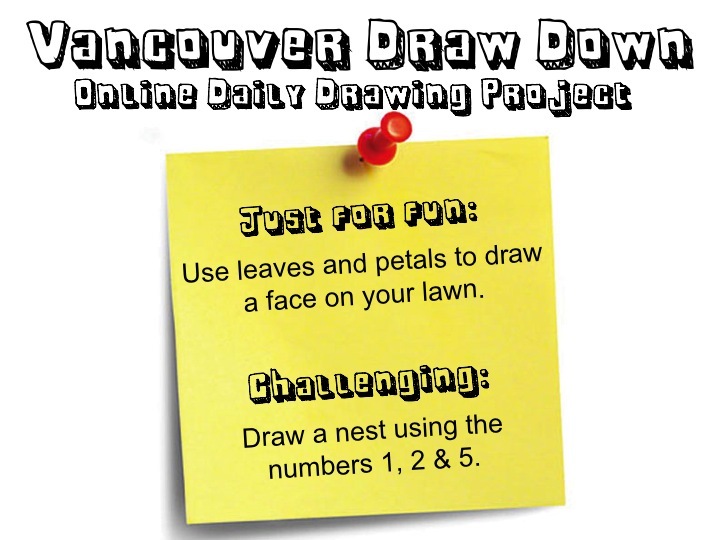 CHECK OUT MORE DAILY DRAWING PROJECTS!